I heard you like Peter Pan. And if you like Peter Pan, you gotta love Tinkerbell. 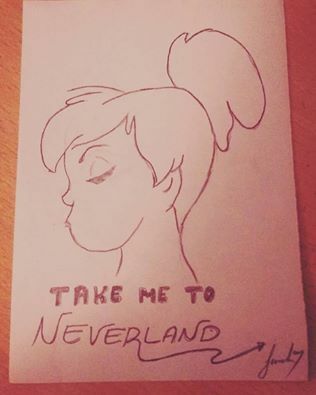 When I was a little girl, I wanted to go to Neverland. I watched the cartoon again and again, and I wished I was Wendy so, so much. I wanted someone to come and take me and we’d go to some island and be free and never grow up, just like in Neverland. As I grew up, I realized that Neverland is possible. It isn’t a place which you can invent, or make it, or go there. It’s the feeling of freedom, which you have. The happiness you feel when you’re free, and that makes you feel alive! Neverland is always inside you!